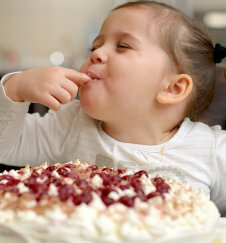 Have your cake and eat it too with a versatile money market. Want to retain access to your funds without sacrificing earning potential? A money market makes this no-brainer possible. At BRB, we offer different options to accommodate deposits of all shapes and sizes. Take advantage of competitive interest on your entire balance. At the same time, retain greater accessibility. Saving shouldn't be like Tuesday night dinner: don't settle on fish sticks when you can have filet mignon. Do even more for your larger balances. Our Super MMDA 25 and Super MMDA 50 accounts maximize large deposits over $25,000 and $50,000 accordingly.